CUMAC is dedicated to fighting hunger and its root causes. Learn more about our programs and how we're changing lives. CUMAC regularly fills over 2,500 requests for food a month for children, adults and seniors in need of regular and emergency assistance. The food we distribute is purchased for a nominal handling charge at the Community Food Bank or in bulk at retailers, collected via large-scale and local food drives, and donated by generous individuals, groups and grocery stores. We are grateful for all of our supporters - like Table to Table who rescues fresh food that would otherwise be wasted and sends it to our pantry - who continue to inspire us with their loyalty and kindness. CUMAC serves as the largest food warehouse facility for Passaic County agencies, housing food and non-food items for over 50 area nonprofits. We serve as the drop off point and distribution center for local food pantries that cannot store or manage large shipments of food from corporate or government agencies. In addition, our refrigerated truck and cargo van regularly pick-up and deliver perishable food for the agencies of the Community Food Coalition. The Depot also coordinates food collection and dissemination for established food drives such as the Postal Worker's Drive and Action Against Hunger Food Drive™. When there is a large-scale disaster in our area, like Super Storm Sandy, the Depot is able to transport and warehouse corporate donations and other significant collections of supplies for the Community Closet to distribute to affected areas. The Depot is made possible with funds provided by the Passaic County Board of Freeholders through the County Department of Human Services, under grants from the State of New Jersey Department of Human Services. The Community Closet is a resource for both disaster recovery and building the self-sufficiency of neighborhood residents. The Community Closet provides clothing and household items free of charge to victims of domestic violence, house fire, natural or other disaster in order to lessen the financial burden of their circumstance. During large scale disaster, the Community Closet -- in conjunction with the Depot -- works with area Emergency Response Teams (ERTs) and Volunteer Organizations Active in Disaster (VOAD) to solicit and distribute critical supplies including clothing and cleaning supplies, hygiene products, and equipment to those affected by the disaster. 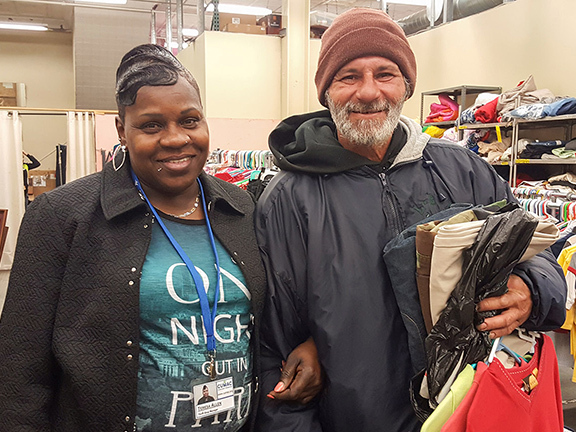 The thrift shop is a secondary component of the Closet which offers community members a chance to purchase quality goods for a nominal cost, thus enhancing their self-sufficiency while generating critical revenue to support CUMAC’s programs. Our inventory is donated by individuals, businesses, church & civic groups, and local retail stores. Anyone is welcome to shop at the thrift shop, and you are likely to find a unique or needed item at a great price while supporting a great cause. Please call for information about Saturday sale days. The Pathways to Work Program is a skills training program operated by CUMAC that exposes participants to a high-functioning, supportive, and professional work environment for an extended period of time that provides opportunities for job skills training, network building, and professional growth. In an effort to strengthen the Pathways program, and better serve our community, CUMAC has recently created additional opportunities for participants to learn and grow. Pathways is now offering assistance with resume writing, recruiting tutors to help participants with GED prep, finalizing plans for a forklift certification course, and providing time and resources to aid participants with their job search. Place of Promise is a permanent supportive housing program which endeavors to serve men and women with disabilities who are chronically homeless. This mission is fulfilled by providing services that assist each individual with setting and meeting personal goals and connecting to resources that will help them to become more self sufficient and live healthy and productive lives. In July 2013, CUMAC took over administrative and fiscal responsibility for this program in order to guarantee housing for its participants after the closure of its former sponsor organization. Place of Promise continues CUMAC’s 30-year history of addressing major causes of food insecurity in Paterson and Passaic County. It is well documented that low-income individuals with disabilities are at great risk of slipping into hunger, often forced to make the hard choice between paying rent and buying food. CUMAC is proud to take on the challenge of this vital program in an effort to meet the need for housing among homeless and low-income persons with disabilities. We believe that permanent housing with support services is an effective way to insure that residents are able to break the cycle of chronic homelessness, achieve independence and remain food secure. Keeping with the tradition of the Emergency Food Coalition, CUMAC has formed the Community Food Coalition (CFC), a collection of over 20 pantries and agencies committed to serving those in need in Passaic County and surrounding areas. 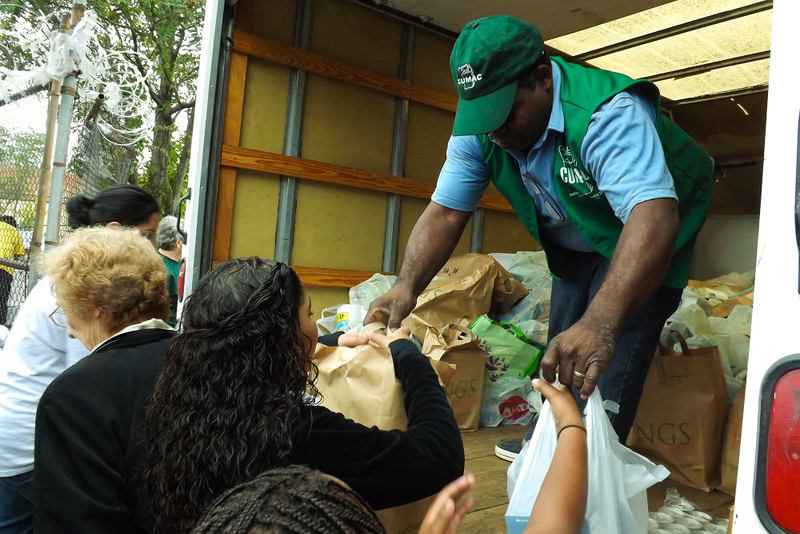 Under CUMAC’s leadership, the CFC addresses hunger-related issues and manages shared food resources for Passaic county, while connecting New Jersey residents with feeding programs that will best fit their needs. CUMAC runs seasonal projects to aid and support Paterson's most needy community members. CUMAC's seasonal projects include our annual school supply drive, meal-packaging events, special food collections for Thanksgiving, and a toy giveaway for neighborhood youth every holiday season. Businesses, schools, community organizations and faith-based groups also host projects to benefit CUMAC throughout the year, including concerts, food drives, competitions and events. Every project and event provides vital support to our programs. If you're interested in holding a project or event for CUMAC contact our team.